Marty MacAllister has been involved with dental implantology since 1991, and has experience of numerous systems. He has worked in the Cavehill practice for over 20 years and became principal dentist in 2002. He has refurbished the practice and increased the practice to six full-time dentists, with a total of 20 staff. 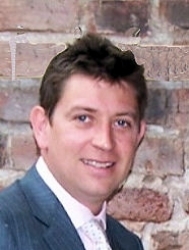 Marty sat on the committee of the Association of Dental Implantology in the UK (as the NI committee member) for seven years from 2000 to 2007. During this time he was involved in the training and mentoring of many dentists. Marty co-presented the osseointegrated implant year course with Dr Eddie Scher in 2005/2006. He graduated from Queens University in 1990. Marty is happy to work closely with colleagues on a level that they are comfortable with. A close working protocol with referring dentists is adhered to, all patients are returned at end of treatment to the referrer. has been refurbished and has eight modern surgeries with state-of-the-art equipment. Patients are welcomed into a relaxing, friendly atmosphere by the practice team, who aim to ensure their visit is a pleasant one.